Both voices recorded and the tape is mailed to you. Using a unique, integrative approach, Laurie provides clear, concise and practical wisdom. SHATTER ILLUSIONS & FREE THE POWER OF YOUR SPIRIT! An in-depth exploration of your soul’s journey for adults and children. A detailed analysis of the psychological, spiritual and behavioral dynamics that exist between any two relationships (i.e. partners, children, friends, business partners etc…). Focus on current issues and specific timing for opportunities. Develop life-focusing tools to maximize your potential. Identify your goals and CREATE the LIFE YOU WANT! -JFF, PhD., Rochester . N.Y.
"After one session with Laurie, I received more healing for my heart and spirit than five years of psychotherapy had provided." "Laurie's reading has transformed my life! I have truly found a gifted guide for exploring the mysteries of the soul." "The only limits to human potential are our self-imposed barriers. Laurie Twilight breaks through those barriers and creates the conditions that can transform one's life." Both voices recorded and tapes mailed to any location. Sessions are just as potent over the phone as they are in person. About 85% of my clients in 42 states and abroad enjoy this service. Laurie Twilight Jetter has a deep passion and unique gift for the practice of astrology. With a Masters degree in Transpersonal Psychology, she integrates astrological skill with clinical perception, compassion, intuition, and humor. She has maintained a full-time international practice since 1976. For almost a decade she has been a columnist for two national magazines. She has taught beginning and advanced astrology classes for 20 years and enjoys tutoring individual students throughout the nation. She is known for her creative teaching style and has been a frequent guest on TV and radio. 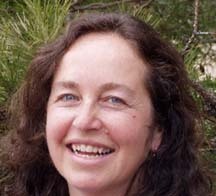 Laurie is a member of NCGR [National Council for Geocosmic Research] and the Organization for Professional Astrologers. Sign Up for a Reading Now!